Nigeria’s chances of winning medals in athletics at the Commonwealth Games is getting slimmer, as two of the country’s brightest prospects are a major doubt for Gold Coast 2018 billed for April 4-15. Former junior athletes, Divine Oduduru and Tobi Amusa who are currently making waves in the indoor season, due to engagement with their various institutions in the American NCAA, will not be coming for the Games. Oduduru a student at the Texas Technology University last week broke Francis Obikwelu’s 200m indoor record with a performance of 20.18 seconds and this week he ran a 6.66 seconds in the 60m dash; it was the second fastest time in his school’s all time best performances. Amusan studying at the University of Texas El Paso, is also doing well on the boards. Last week she did 7.90 seconds in the 60m hurdles. “I am not sure Oduduru and Amusa will be available due to their engagement in the NCAA. Blessing Okagbare might only be running the relays she is not going to do the sprints. “ And here at home basically apart from Patience Okon-George we don’t have any of the home-based athletes that have met the Games Standards. It is only special sports athletes I am sure will guarantee us medals at the Games,” said Enefiok Udo-Obong Nigeria Olympic Committee athletes rep. 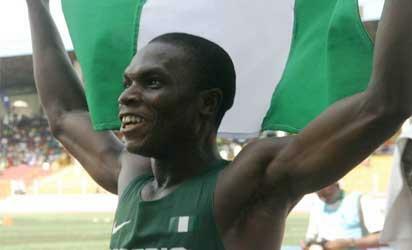 The post Oduduru, Amusan to miss Commonwealth Games appeared first on Vanguard News.